Islamabad, September 20; “The provinces have been empowered in the real sense through greater provincial autonomy and devolution of powers to them and today they enjoy unprecedented freedom in decision-making, administrative operations as well as financial matters. Under 18th and 19th Amendments the provinces of Pakistan are more empowered than ever.” Mr. Faisal Karim Kundi, Deputy Speaker National Assembly of Pakistan said. 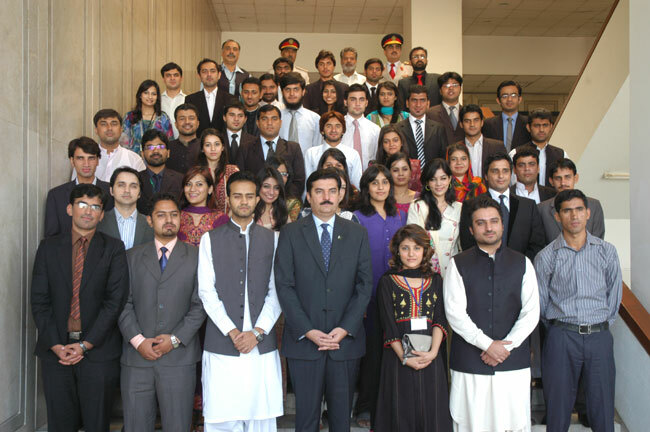 The Honourable Deputy Speaker National Assembly, Mr. Faisal Kareem Kundi was addressing the 4th batch of the Youth Parliament Pakistan that visited the National Assembly today. The Honourable Speaker shed light on the systematic proceedings of the National Assembly. “Gilgit-Baltistan was given self-governance and empowerment, which was a long-standing demand of people of the region. PPP Government has achieved many milestones and its economic policies will further maintain macro-economic stability,” he said. The proceedings of the house were initiated with a resolution asserting that the Government should open and resume all the blocked trade routes in order to ensure the beginning of an era of economic prosperity in the country. Mr. Muhammad Sohail (YP34-PUNJAB14) highlighted the importance of agricultural exports especially rice and citrus exports which are being adversely affected with the closure of these trade routes. “This aforementioned issue must be addressed in order to earn foreign exchange, generate revenue for the national exchequer and check the prevailing decline in the agricultural export,” Mr. Muhammad Umar Riaz (YP36-PUNJAB16), Youth Minister for Law, Parliamentary Affairs and Human Rights said. Ms. Anum Mohsin (YP22-PUNJAB02) was of the opinion that the alarming and tragic fire accidents in Lahore and Karachi should be investigated as an utmost priority. Ms. Anum Zia (YP23-PUNJAB03) said that the government should take immediate actions to encounter problems of deforestation, excessive greenhouse gas emissions and their subsequent effect on environmental and climatic change. The 4th Youth Parliament Pakistan is supported by the Danish International Development Agency, Government of Denmark as recognition of the importance of young people's involvement in democracy and democratic practices in Pakistan.